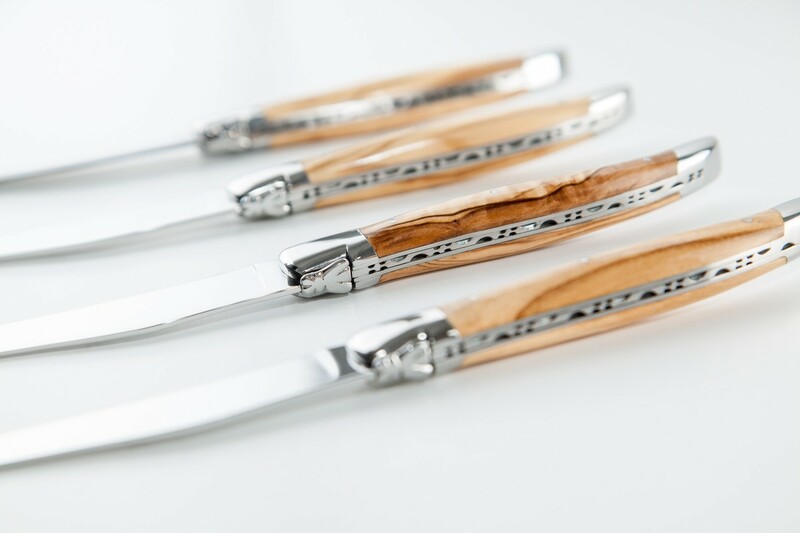 There are 109 production steps in the making of an authentic hand-made Laguiole en Aubrac Knife. 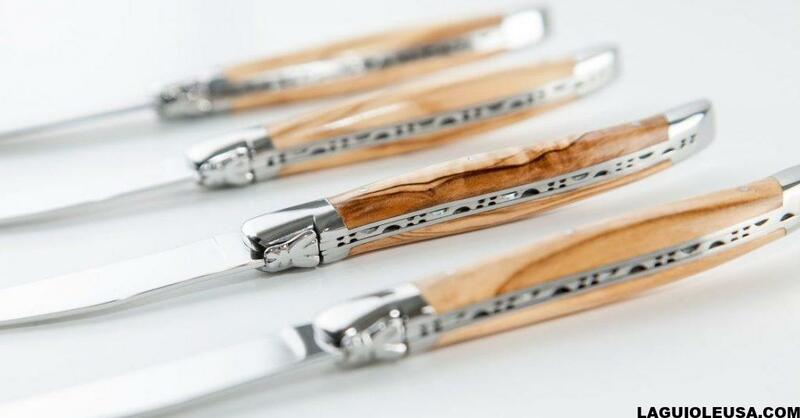 This long process is what distinguishes true craftsmanship from mass production, and guarantees the unique qualities of each knife. 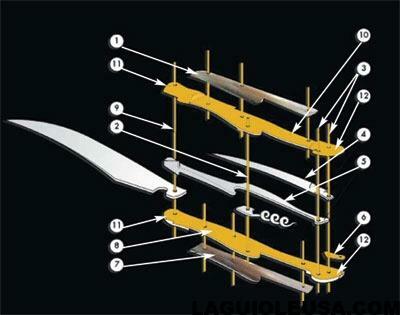 These are the Parts of an authentic Laguiole knife. Most Laguiole en Aubrac knives have an L inside a circle stamped on the blade. This means that it was made in the region of Laguiole ( “Laguiole Origine”). When knives have special blades ( Damascus, Hammered or “Brute de Forge” etc), you will find the “Laguiole Origine” mark on the certificate of Authenticity that comes with the knife. Authentic Laguiole knives, generally have the type of steel stamped on the blade.